Financial giant Visa today announced it has approved smartphones from Samsung, LG and RIM to utilise its new Visa payWave technology, helping to step up adoption of NFC payments and services on mobile devices. The company has certified Samsung’s Galaxy SII, LG’s Optimus NET NFC, BlackBerry Bold 9900, BlackBerry Bold 9790, BlackBerry Curve 9360 and BlackBerry Curve 9380, adding it to the list of Visa compliant payments products that can be used by financial institutions to transmit payments. 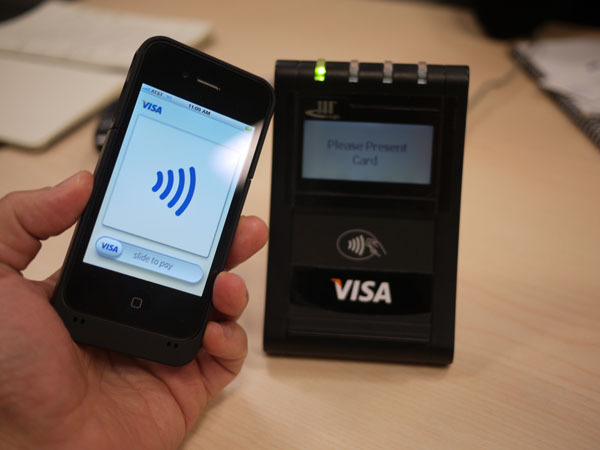 Visa says “mobile device manufacturers, mobile operators and retailers to partner with financial institutions to offer Visa mobile payment functionality to consumers globally,” as the company continues to expand its contactless payment terminals to major events including the 2012 London Olympics. For the first time in Olympic and Paralympic Games history contactless payment technology will be implemented across the event venues, so people can pay with their NFC-enabled devices, which will now include Samsung, RIM and LG smartphones. In the US, mobile operators Verizon, AT&T and T-Mobile have signed an agreement to form a NFC payment service called ISIS, gaining support from the major credit card companies and also some of the world’s top smartphone makers. If you own one of these devices, you will be able to use the Visa payWave application to simply wave your NFC-enabled phone in front of one of the many payment terminals already installed at retail outlets worldwide.